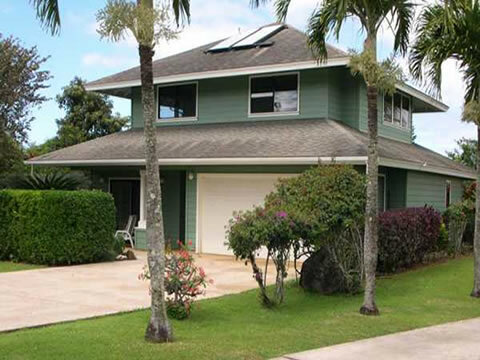 Kauai vacation home on North Shore, near park - "Serenity Hale"
A meticulously maintained single-family home conveniently located on the North Shore of Kaua'i. 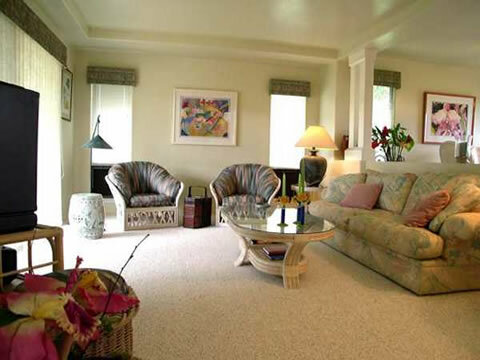 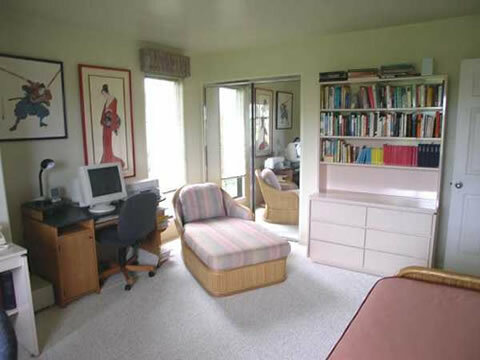 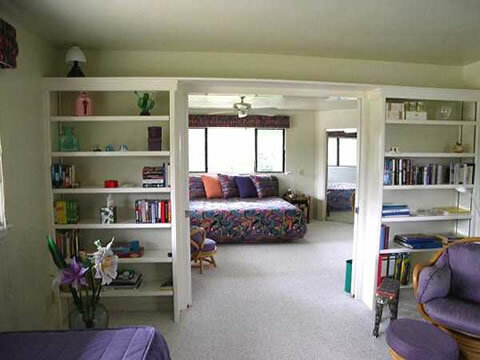 The home is on a quiet cul-de-sac, adjacent to a private, one and one-half acre park. 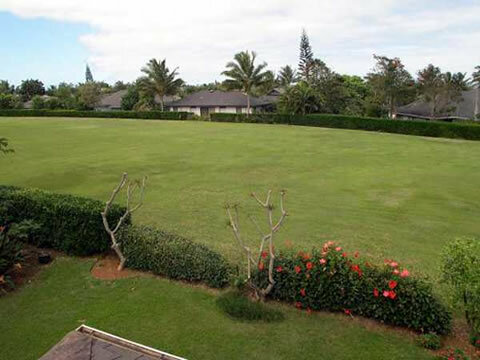 The landscaping presents mature fruit trees, sculptured hedges and colorful plants that enhance the tropical experience and privacy. Enjoy the freshly picked fruit, while soaking in the views of the Bali Hi and blue Pacific from the upper lanai. 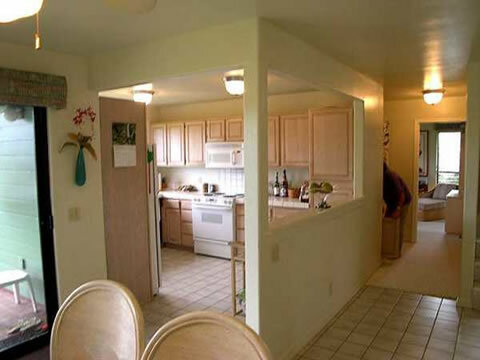 This house features three bedrooms and two baths, comfortably sleeping up to six. 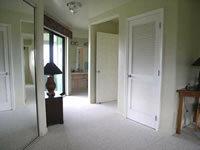 The second level master suite has a private lanai and an adjacent retreat, which converts into the third bedroom. This is an ideal set-up for parents with children, affording privacy and supervision. The well-appointed property includes a full kitchen, dining and family room. The open living plan ensures a comfortable and relaxed setting. Cable television, VCR and CD players, and Internet access are available. 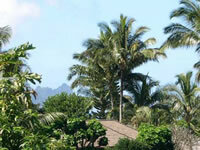 The home is a few minutes from Kauai's beautiful and famous beaches. Anini Beach for windsurfing; Tunnels for snorkeling; Lumahai for private walks; Ke'e Beach for end-of-the-road hiking; and Hanalei Bay for gentle swimming. 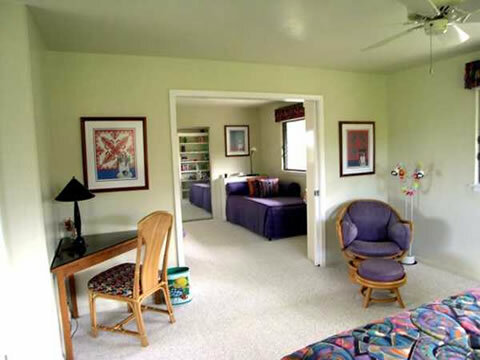 Nearby sites include the majestic Na Pali coast, breathtaking Hanalei Valley Lookout, and the famous Kilauea Lighthouse and wildlife sanctuary. 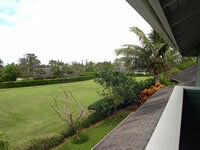 An easy one-mile walk will bring you to Queen's Bath or the Princeville Hotel Beach. 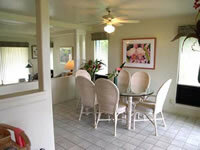 Princeville is approximately a 45-minute drive North of the main airport in Lihue. 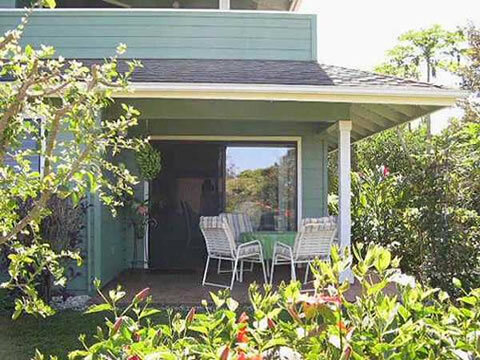 The scenic two-lane highway gracefully winds through the historic towns of Kapaa and Kilauea, offering vistas of the turquoise seas, the vibrant mountain greens, lush plants, canopied trees, rivers and waterfalls. The Princeville Shopping Center provides a supermarket, restaurants, service station and boutiques. The Princeville Community hosts world-class golf, walking and bike paths, and close by riding stables.